The dream-state is a non-ordinary state of consciousness that we commonly and spontaneously experience every night, the prototype of the hallucinatory experience. Dream-inducing plants are considered sacred; they are the source of divinity, manifesting in the human body, and acting on the mind. C. zacatechichi can be found from Mexico to Costa Rica. It is used by the Chontal Indians of Oaxaca, Mexico, among whom it is known as zacatechichi, thle-pelakano (“leaf of the god”) as well as zacate de perro (“herb of the dog”) and hoja madre (“mother leaf”). It is believed that the plant purifies the senses and that the visions induced in dreams mold the future or help in foretelling it. The more important use of this oneirogen is for obtaining divinatory messages in the dream state, for example to learn the origin of an illness or the place where a distant or lost person can be found. The prescribed quantity is “a handful” of dried leaves. The crushed leaves are smoked or drunk in a water infusion. Generally, after slowly drinking the infusion, the person lies down in a quiet place and smokes a cigarette made with more leaves. Still more leaves are placed under the pillow before going to sleep. The use of a sufficient quantity is confirmed by a sensation of peacefulness, nausea and somnolence, and the reduction of one’s pulsations and heartbeats, in addition to subtle auditive changes. 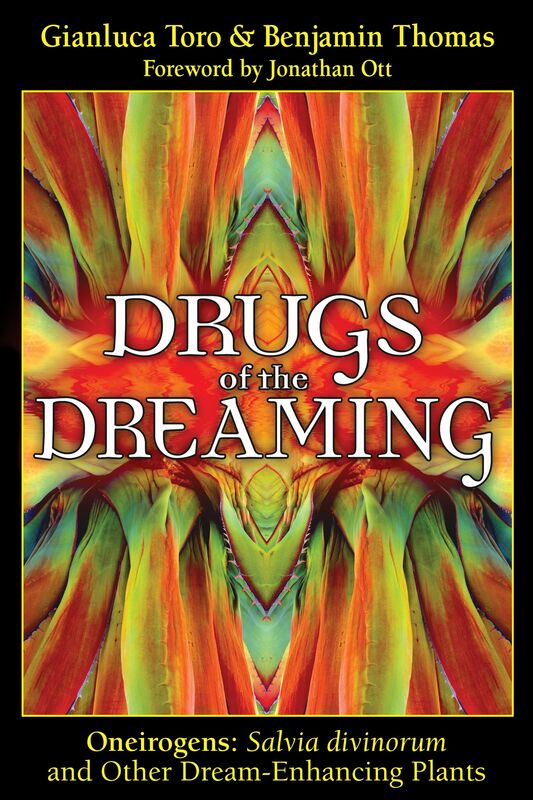 This oneirogenic substance induces lucid, vivid, or significant dreams. It is also reported to induce an expansion of all the sensory perceptions and imagination, a slight discontinuity of thought, a rapid flux of ideas, and difficulty in remembering. According to some, there is a visual effect, according to others, an auditive one, wherein the plant speaks to the person. Generally a sensation of well-being lasting one day or more is common. It doesn’t appear that C. zacatechichi always produces oneirogenic activity, perhaps because, according to the Chontal Indians, only certain specimens of the plant are active. In fact, they distinguish between “good” and “bad” varieties, according to whether they have or do not have psychoactive properties. This is in agreement with the fact that distinct samples have shown differences in chemical composition. C. zacatechichi has been employed since ancient times against fever, colics, gastrointestinal disorders, diarrhea, and cholera. In Yucatan, the leaves are used in baths to treat skin eruptions. Until now, no psychoactive compound has been identified, but triterpenes, sesquiterpenic lactones, a glycoside, and an alkaloid with a possible light psychoactive effect have been isolated; another compound found in the leaves has a depressive effect on the central nervous system. A list of the main identified compounds comprises: calaxine, ciliarine, zacatechinolides, caleocromane A and B, caleine A and B, caleicine I and II. The plant is also a substitute for Cannabis sativa. S. divinorum is an endemic plant of the Mazatec region of Oaxaca, Mexico, probably not native to the area. It was known to the Aztecs as pipilzintzintli (“the noblest little prince”), and today is called la Hembra (“the Female”), hierba María (“herb of Mary”), or hojas de la Pastora (“leaves of the Shepherdess”). Its use as a shamanic inebriant is reported only in the Mazatec region. The first modern witness in this regard dates back to 1939 when J. B. Johnson observed the use of S. divinorum by a shaman in the context of the ingestion of psilocybian mushrooms (essentially, Psilocybe spp.) and seeds of Convolvulaceae for divination. In 1961, R. G. Wasson became the first non-native known to experiment with the effects of the plant. He described the ingestion of the leaves after mastication, and the preparation of a water infusion of the same leaves, followed by manual squeezing. Wasson compared the effect to that of psilocybian mushrooms, but said it was less ample and lasting. It seems that the full effects are best perceived in darkness and silence, while slowly breathing and remaining still. Duration varies according to the ingestion technique. Generally, the effects can be described as follows: sensation of different movements, perception of voices or inner murmurs, bidimensional surfaces, bizarre geometries and simultaneous realities, visits to places in the past, contacts with “entities,” sensation of being transformed into objects, loss of bodily and personal identity, and out of body experiences. On the basis of personal experimentations, in 1975 J. L. Díaz classified the plant as an oneirogen, a classification reconsidered in more recent studies. S. divinorum would be an oneirogen (and not a true hallucinogen) because it induces R.E.M. activity episodes during wakefulness, leading to involuntary experiences of pre-conscious or conscious dream. According to some scholars, the fact that the plant’s effects stand out best in darkness and silence, while the subject breathes slowly and remains still, qualifies it as a good preparation for the mind before consciously entering the oneiric world. In Mazatec popular medicine, S. divinorum has a topical use; for example, the infusion is employed for a bath or the residue of the leaf extract is applied on the patient’s head as a poultice. Other uses are as stimulant and tonic, for digestive problems, against headache, rheumatisms, and magical disease. The active principle of S. divinorum is recognized as diterpene salvinorin A. The most potent effect is obtained with sublingual administration of the pure compound. The leaves are more active if chewed and maintained in the mouth, rather than ingested. Infusion is the least effective technique of administration. The dried and smoked leaves are active. Benjamin Thomas is an independent researcher specializing in the effects of drugs and plant extracts on humans, particularly in Papua New Guinea. He has published many articles covering a wide range of subjects and lives in Australia.